Tottenham forward Son Heung-min is one of the best around at running with the ball at speed, before unleashing a strike! Here are some tips and tricks, plus a wicked drill to master shooting at speed like the superstar! Tottenham’s striking sensation, Son Heung-min, is an absolute speed demon! Use the laces part of your foot as you travel with the ball to turn the afterburners on – just like the deadly on-fire Spurs forward! 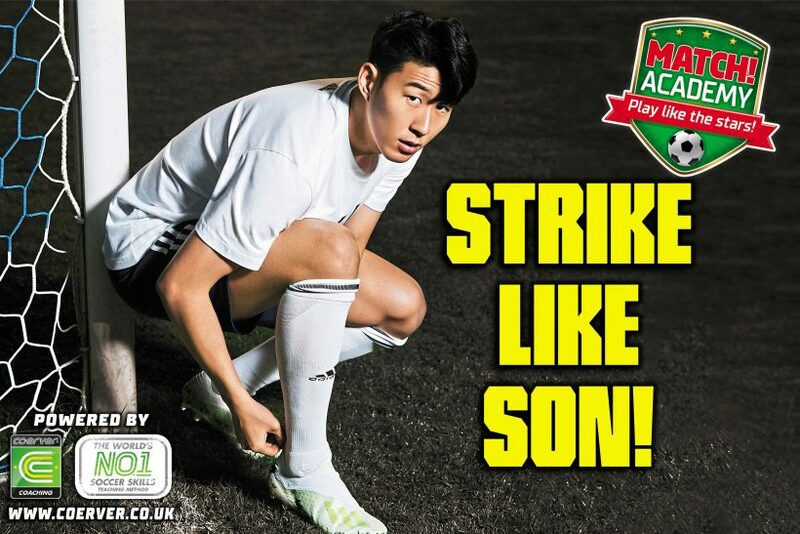 The South Korean baller is a master of striking at speed! Make sure to use the laces part of your foot when making contact with the ball for maximum power, then watch it blaze past the keeper and into the net! Now practise this ace drill by watching the video above! Player 1 performs the inside/outside roll with their right foot. Player 2 makes contact from the left side. Player 1 travels with the ball to their right (using their right foot) and around the discs. Player 2 sprints around the disc in front and turns right. Player 1 travels inside the diamond with their right foot. Player 2 tries to tag Player 1. Player 1 can attempt a shot at goal when they’re outside of the diamond. They must shoot before Player 2 tags them for the goal to count.